it was the winter of despair . . .
. . . it is the Tale of Two Men. The tale of two empires really, one inside the other, conjoined, intertwined, two conquerors of all that could be seen and beyond. Two “brands,” to use a term these men in full so often invoked, who reached further, higher than than their constituents would have ever hoped. Two empires, two men, whose reigns have collapsed under the weight of their own hubris and neglect. Two stars, their light extinguished, their constituencies swallowed into a black hole. If you haven’t heard, sports fans, the administration of University of Louisville Athletics, or some higher school power — James Ramsey and/or Tom Jurich and/or a Secret Committee and/or Outside Legal Counsel with/without the acquiescence and/or approval of Rick Pitino — has/have seen enough evidence that he/they deemed it wise to declare the men’s basketball team out of post season competition. It was a preemptive strike, obviously meant to circumvent any such future penalties the NCAA might impose in response to the Herricane Katina allegations, and to display some institutional contrition with the purpose to lessen any other prohibitions the governing body might declare. The immediate effect has been to punish the current squad, none of whose members are reported to have been recruited illegally, nor feted with strip shows or paid sexual favors in Minardi Hall. That the current young and inexperienced Cardinals have overachieved has exacerbated the emotional commotion of the fan faithful in response to the declaration. The team is led by two grad student transfers from mid-major schools, neither of whom has previously participated in the NCAA tournament, each of whom came to U of L with the firm prospect of doing so, and neither of which shall have another chance to compete in the Dance. So Louisville fans, for the most part, are up in arms. Okay, for what it’s worth, I’m back on the beat. Spent a long weekend in Boston/ Maine, with some old pals, swapping tales and hurling insults. During which interlude, I did my best to deplete the crustacean population during what I’m told is a bumper season for lobsters. Lobster Roll at Fenway. (Where I witnessed arguably the most fundamentally unsound major league baseball game ever contested. 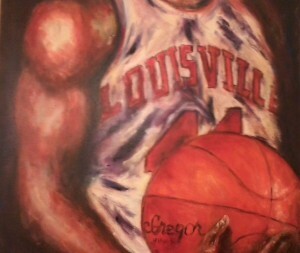 Matched in college by U of L’s lapses against Fullerton.) Lobster Omelet at Inn By The Sea. Lobster Pizza at Saltwater Grill. Lobster Chowder at Union Oyster House. 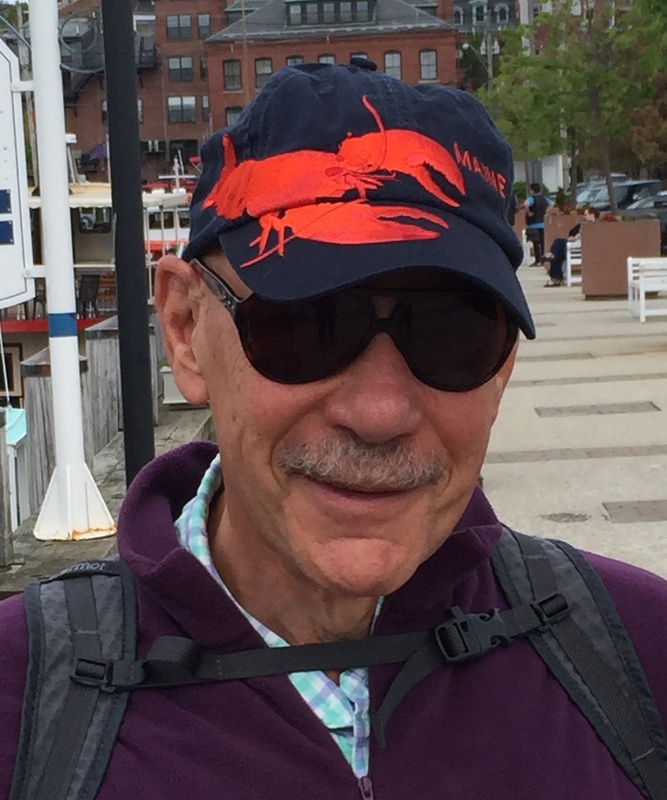 And, thus obsessed, felt compelled to purchase not one, but two, lobster adorned baseball caps to commemorate the indulgence. 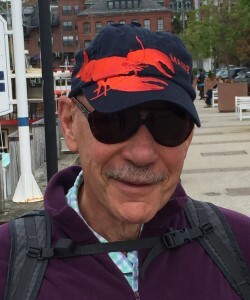 One of which, the “Mother of All Lobster Caps,” I am wearing in the photo. 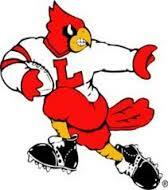 University of Louisville baseball fans feel they “wuz robbed,” after losing last night’s extra inning affair. Cal State Fullerton, feisty, unrelenting, advanced to the CWS on a controversial 11th inning homer by David Olmedo-Barrera. Absent some egregious miscalculation on Tom Jurich’s part, some chink in his armor worn as Supreme Commander Cardinal Nation, some rejection of his aura of absolute authority, U of L’s Athletic Council, or whatever that lay board is called, shall later this morning rubber stamp the selection of Bobby Petrino to return as Cardinal football coach. Press conference to follow. During which there shall be a display of contrition like none other. Much shall be made of the vetting process. Homage shall be paid to Petrino’s pater, to whom Louisville’s AD has previously displayed fealty. Fan reception to follow. For a meet and greet with the new coach, whose handshake and smile shall resonate like that of Alex in “A Clockwork Orange.” After the resocialization process, of course. Hey, ye Nagging Nabobs of Negativitude, deal with it. If you’ve been paying attention here, you know that I love college football. 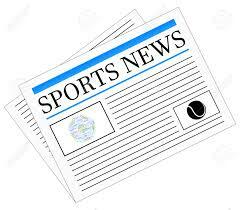 Which is different than considering myself an astute observer of the technicalities of the game. Way different. I watch as a fan, not a guy who claims to know the Xs & Os. Which was reinforced last night, as I watched most of Florida State’s exciting W on ESPN News. Which is where Matt Millen, Chris Spielman, Kevin Sumlin, Paul Chryst and Steve Addazio broke down the action and strategy in exacting detail in the Film Room. It was as illuminating as it was fascinating. The latter three are still coaching, at Texas A & M, Pitt and Boston College respectively. Millen, who talked less than the others and was kind of a moderator, and Spielman, who was the most loquacious, do color for The World Wide Leader. There are times when the internet does know things before the rest of us. Charlie Strong’s hometown is Batesville, Arkansas, a blink by the side of the road in the northeastern part of the state, just short of a hundred miles from Little Rock. In hopes of gaining some previously undiscovered perspective on Strong, whose job change has been the flashpoint for emotions in this town this weekend, I checked out Batesville’s Wikipedia page last evening. Strong was already listed as head coach of the University of Texas football team. 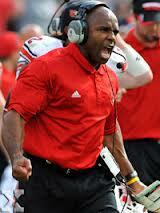 Will Charlie Strong Make It 3 & Out? For a moment, let’s be honest, folks, there really was never any doubt he was outtahere. All the hoo hah about him staying to bulk up, to hone his talents against better ACC competition, was just that, fantasy, delusion, choose your favorite descriptor. It was, you understand, like I said, to use the technical term, hoo hah. Calvin Pryor is gone. Somehow I see the headhunter in Steelers’ black and gold, doing his best to rip off some available body part of any wideout who dares to venture across the middle, or otherwise deigns to trespass in Pryor’s territory. Which brings us to Charlie Strong.